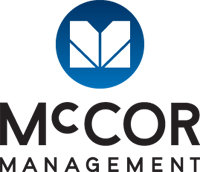 Doug McDonald brings over 25 years of senior real estate experience to McCOR Management. A proven industry leader within the commercial sector Doug has built an impressive portfolio of clients across Western Canada. Doug is also President and CEO of NewWest Enterprise Property Group, Western Canada’s leading independent third-party real estate management services provider, servicing over $2.2-billion of office, retail, industrial, residential, mixed-use and specialty properties. NewWest operates full service offices in Winnipeg, Vancouver, Edmonton, Calgary and Regina. Previously he was a Senior Vice President of publicly-traded O&Y Enterprise, and prior to this role he was a Managing Partner with Enterprise Property Group and Executive Vice-President and Partner with a predecessor organization, SMI Sunridge Group of Companies. Doug obtained his Bachelor of Business Administration (B.Admin. ), and has received both Certified Property Manager (CPM®) and Certified Commercial Investment Member (CCIM) designations, the industry’s Graduate level studies in real estate management and real estate investment. 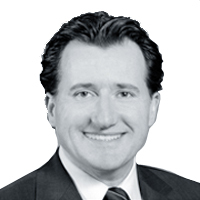 He previously held the position of President on the Board of Directors of the Real Estate Institute of Manitoba (REIM), and currently sits on the National Advisory Council of Building Owners and Managers Association (BOMA); a council responsible for advising the National Board of Directors on the strategic direction of BOMA Canada. In addition, he is a member of The Associates Asper School of Business; a forum for dedicated corporate leaders to share the I.H. Asper School of Business commitment to excellence in management education, and is an active member of Young Presidents Organization (YPO).